It’s 7pm on a Saturday evening in Portland’s industrial district. The steel train rails glisten in the evening sun and the magic hour is upon us; a perfect time to photograph a perfect bike. The sun is still shining strong as dusk approaches. It’s an unusually quiet time of day in Portland. Normally bustling with people coming and going, the silence is eerie. Even though the location we chose to meet was at the heart of where all the action usually takes place, there’s a sense of calm in the air. Within minutes of talking to Andrew from Little Horse Cycles, I realise that maybe this environment is the perfect setting for him. He is quiet, calm, and collected, but you can tell he is a mastermind that’s really passionate about his work. Little Horse Cycles is in its third year, and owner Andrew Cornelissen doesn’t see an ending in sight. “Slowly but surely I’ve made it to a point where I build what I want to build. It’s rare and not many builders have the chance, but I made it a goal to build the bikes that I would want to ride myself. It feels like hanging out with friends everyday, rather than a normal 9-5, and personally I wouldn’t want it any other way,” Andrew says with a smile. 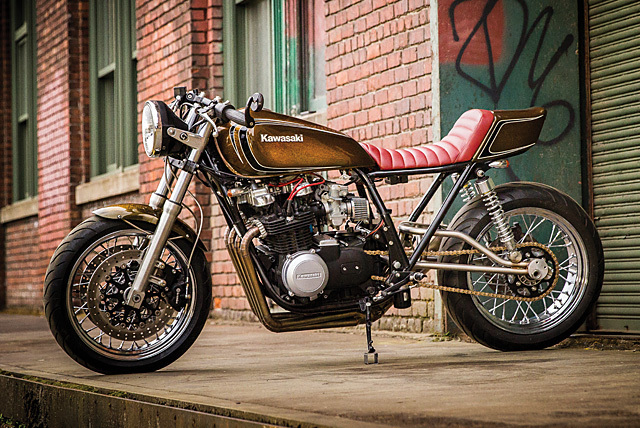 After an afternoon with him, I come to the conclusion that there simply isn’t enough space here to capture all the stories about Andrew, Jordan, Chedda and Lee, the foursome team of friends that decided to come together to build this amazing Kawasaki café racer. Let’s start with you telling us a bit about yourself and your workshop. 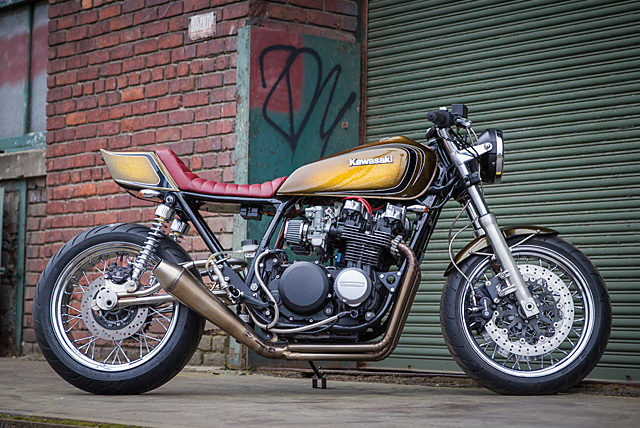 I’m pretty much your average motorcycle enthusiast that accidentally created a workshop. What started off as an outlet for me and my friends turned into me meeting new friends with new bikes. I was formally trained as a metal worker and fabricator, but have been into motorcycles for a while, so pretty much one thing led to another. 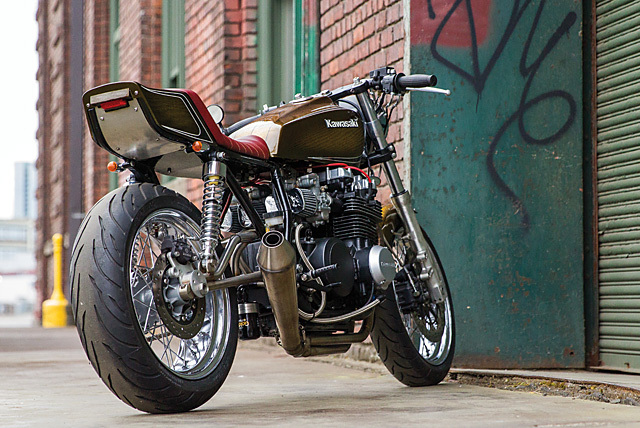 A few years ago I really got into the café racer thing, like a lot of my friends at the time. Slowly, I began looking at the builds and realised I wanted to create my own. Over time, I became fully submerged into building and helping friends with their builds. 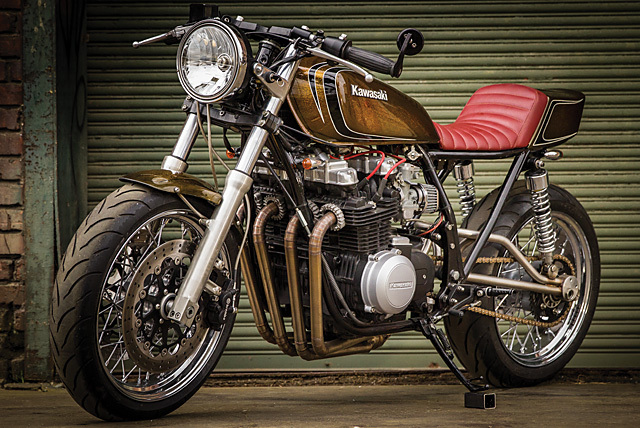 What’s the bike and how long did the build take? 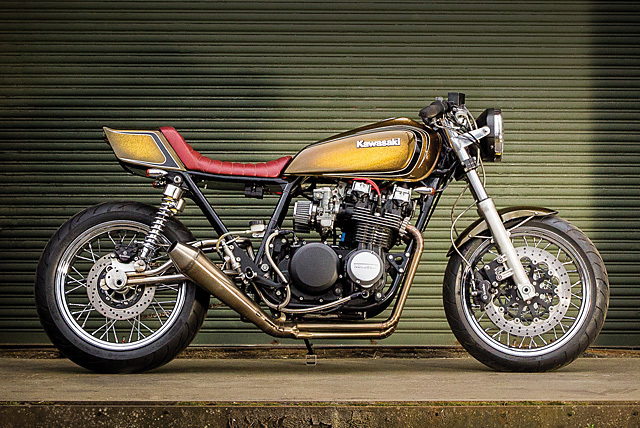 The donor bike is a 1979 Kawasaki KZ650SR and it took us close to a year to wrap it up. Why did you build the bike? 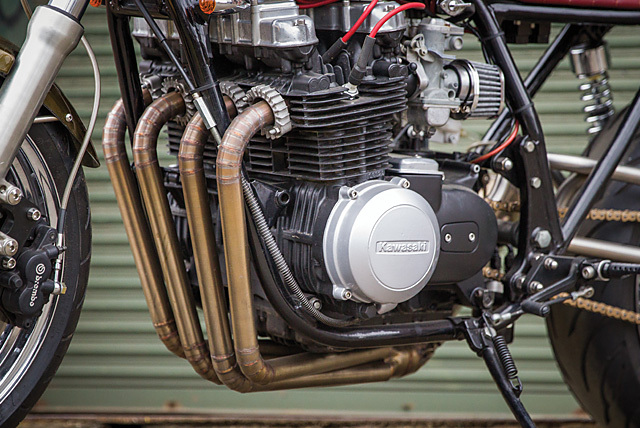 Jordan Green and Lee Kinney–two good friends that I build bikes with often–suggested we do a ‘Greasy Dozen’ build. The Greasy Dozen is a grass-roots sponsorship program where 12 builds are selected and given additional support. 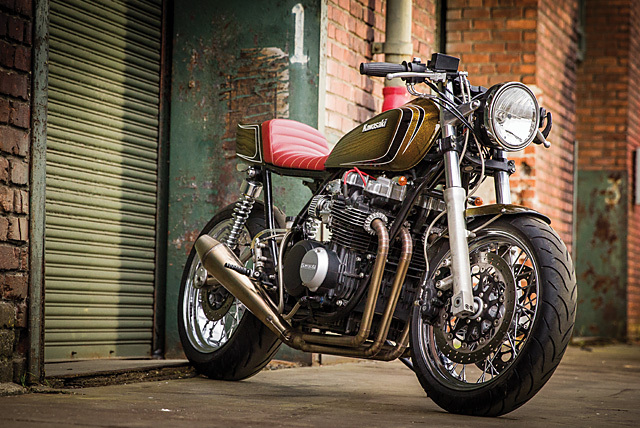 The brief was to build a bike with a retro vibe, but with decent performance and practical enough to ride every day. It was also a collaboration between guys who normally work individually, so we completed it during evenings and on the weekends. Can you walk us through the work that was done during the build? The forks have been swapped out for a set of 43mm cartridge items from a ZX7 with twin gas shocks at the rear. It rolls on 17 inch spoked wheels with the 320mm Brembo discs and calipers from a Ducati Sport Classic GT1000 at the front. The headlamp comes from a Suzuki SV650. 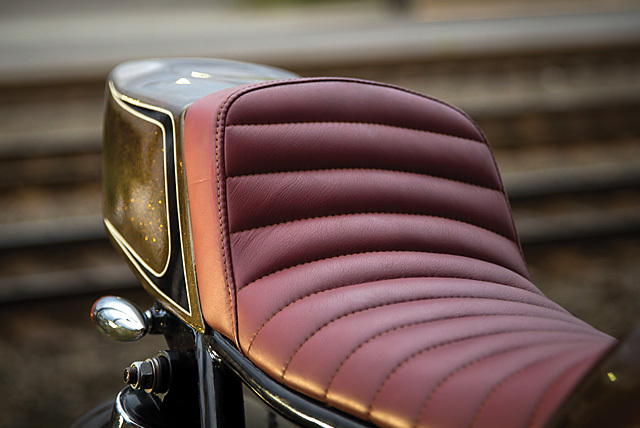 The rear seat cowl is from a GPZ750 with custom seat upholstery in oxblood leather by Ginger at New Church Moto. 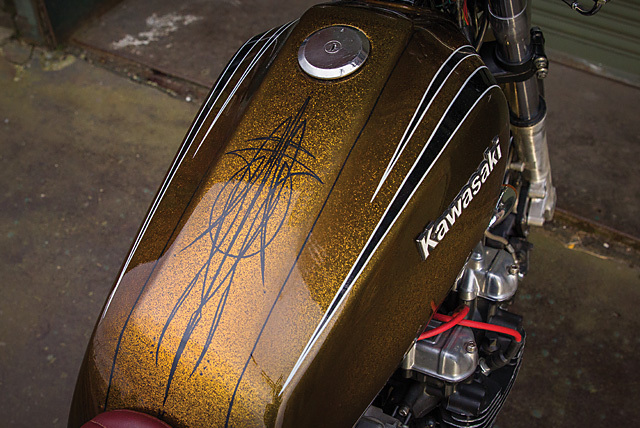 The metal flake gold paint with its unusual mix of retro swooshes and pinstripes was done by Bridge City Cycles. Our 4-into-one pipes are hand-made in pie-cut stainless steel that I mated to a Mega ‘Quiet Core’ reverse cone muffler. The sweeping steel double-tube swing arm is also hand-made and uses custom aluminium concentric chain adjusters. The clip-on mounts are blended-in flush to the top triple clamp, adding to the refinement that is seen across the whole build. Can we expect to see more from Little Horse? I would hope so. Being able to do this with friends and watching us all grow together has been an honour. I can’t see myself ever stopping because it has always been for fun. I guess I’ve just been fortunate enough that most of my customers are either friends or future friends. Speaking of friends, I definitely want to give thanks to all of the people who have supported Little Horse Cycles. We couldn’t have done it without you. Like what you see? 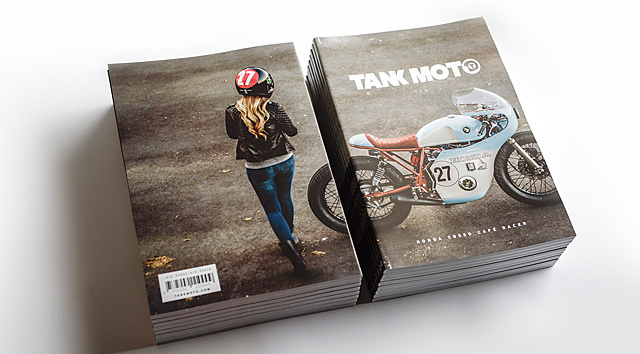 Then check out a whole heap of similarly salubrious cycles in the latest issue of Tank Moto.